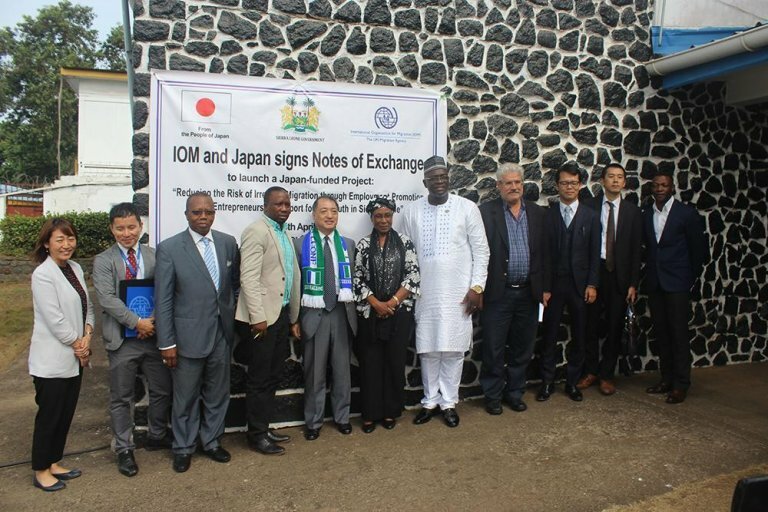 At least 2,000 Sierra Leonean youths facing chronic unemployment or underemployment will receive vocational training over the next three years under a project funded by the government of Japan, the UN agency International Organization for Migration (IOM) has announced in a statement. "IOM has a long-standing experience addressing issues related to youth, migration and employment'', said Sanusi Savage, head of the IOM office in Sierra Leone. "We hope that through this new initiative, we can unlock the entrepreneurship potential of Sierra Leonean youths and help them contribute to the development of the country." IOM reported that over 60 percent of youths in Sierra Leone are unemployed or underemployed. "The West African country has been slowly recovering from the devastation caused by an 11-year civil war (1991 - 2002) and the recent Ebola crisis (2013 - 2016), which has led to massive rural-urban mobility, especially among young people'', the organization said. IOM stressed that demographic growth in urban areas has impacted infrastructure and essential service delivery, including housing, schools, jobs, water, health, electricity and sanitation. Funded by the Japanese government, the initiative announced by IOM to reduce the risk of irregular migration through the promotion of employment and business creation will be implemented over three years from 2019 to 2022. The new project will contribute to ''youth and women's empowerment through vocational and entrepreneurship skills training," IOM said. A partnership will reportedly be developed with Sierra Tropical, a Sierra Leone-based juice manufacturing company, to provide internships and on-the-job training to young people and women across the country. A reported 240 youths will also benefit from business courses, business start-up kits, and long-term mentoring from industry professionals. Mohamed Bangura, Sierra Leone's minister of youth affairs, was quoted as saying by IOM that the project "will help provide young people with the skills in areas relevant for the job market, reduce rural-urban and irregular migration and contribute to economic growth and development." The UN agency stressed that since 2017, over 950 vulnerable Sierra Leoneans have returned home with IOM's assistance. ''The project will also develop activities to raise awareness on the risks and dangers of irregular migration and human trafficking," the UN agency said.